Seven years on from the birth of Matrix Reimprinting - a powerful technique that uses EFT to resolve traumas from our past - its creator, Karl Dawson, has adapted his revolutionary technique to ensure that practitioners focus on core beliefs to achieve lasting change in their clients' lives. This book explores how this work can help with everything from anxiety, grief, phobias and pain management, to parenting and self-image. 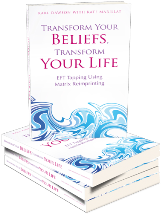 Whether you are new to Matrix Reimprinting or have known its transformative power since the early days, this book gives you a step-by-step guide to changing core beliefs for yourself or for your clients - whatever the life issue.